Scoring in tennis is based on accuracy of the shot among other factors such as topspin, power, timing etc. Hence, line officials are a crucial component in the sport of tennis. The calls by the linesmen can sometimes make or break a player’s match which sometimes led to hagglings with the chair umpire. Tennis is a sport which is notoriously resistant to change. 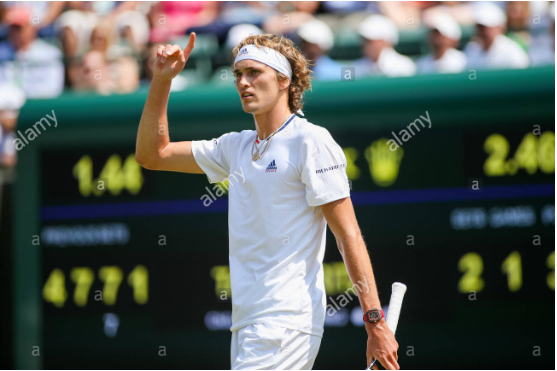 A de rigueur like wearing only white at Wimbledon is one example, but while the introduction of the Hawkeye challenges these traditional values it also promises to enhance many aspects of the game. The Hawk-Eye system is a complex computer targeting system that is used to track the path of an object. It was originally created for use in cricket, but quickly gained popularity in sports and is currently being used for more than 24 sports including NASCAR and Horse-Racing. Human line judges call each shot in a tennis match and players have a limited number of challenges available to them. The current rules allot 3 “incorrect” challenges per player per set and an additional 1 if the play moves on to the tie-break. Players must challenge the particular point in a timely manner. This includes the stopping of the current point, approaching the net or indicating the chair umpire that the player wishes to challenge the call. Play stops and an animation of the shot is displayed on the court’s main screen. 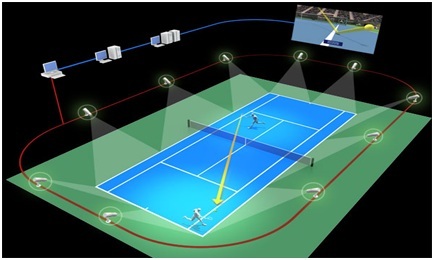 The animations are not actual images of the ball in question as it lands on the court but a representation drawn from the algorithm the technology uses to analyze every shot, based on information gathered by high speed cameras placed around the court which track how fast the ball is moving at what trajectory at about 100 frames per second. Hawk-Eye doesn’t tell you where the ball landed—it just tells you the statistically most likely path! If this sounds like it could go wrong, well, yes. During the early years of its use many problems arose due to inconsistencies in the rules which helped only to make the system seem more confusing that it really was to the general public and gave more validity to the arguments of critics. Another problem involves the decision on where the system will be used. At major tournaments the only courts that implement this technology are high profile courts. The outer courts often have to do without the Hawk-Eye system which opens the debate of whether or not it is fair that only high seeded players are privileged with using the system. In addition to this, the high profile courts are given the best officiating staff as they are the ones that will be hosting televised matches. This places lower ranked players playing on the outer courts at a disadvantage because they will experience the same problems that warrant the need for challenging calls, but will not have the technology to use in addition to a lower quality officiating staff. One problem that has evolved over the last few years is that chair umpires and line judges have become increasingly hesitant when making calls. Now that the players have the ability to challenge the rulings of these officials, the more weight a point carries the more likely it has become that an official will leave it to the players to just challenge. At the same time, instances of delayed calls or officials being caught not paying attention to points have also increased dramatically. 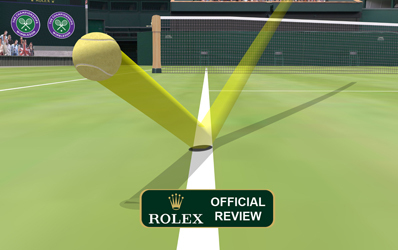 The final problem involving the Hawk-Eye System involves the time limit rule on challenging and lack of clarity as to if the point must be replayed in certain scenarios. Players are supposed to challenge in a timely manner and stop playing the current point. Some players will even go as far as to ask their chair umpire or take a look at their box for any hint as to if they should challenge a particular shot or not and unfortunately some chair umpires will oblige them with advice which clearly spoils fairplay. While it may have some flaws that will no doubt be worked out over time, the introduction of the Hawk-Eye System has added a new level of strategy to the sport that never before existed. Since players now have access to only 3 challenges per set they must be wise on when to use those challenges. In addition to knowing when to use a challenge a player could also burn a challenge to possibly slow their opponent’s momentum and regain composure during the time it takes for the call to be reviewed should they be in a tight spot. There have been several instances where the Hawk-Eye could have resolved disputes between the player and the officials. On January 21st 1990, during the fourth round match of the Australian Open between John McEnroe and Mikael Pernfor, McEnroe became unhappy with a call made by one of the line judges, but his appeal was not satisfied by the chair umpire. On the changeover after the game, McEnroe, still upset with the call, stood in front of the line judge and glared at him while bouncing a ball on his racquet close to the judge’s face (gesturing if the line judge could follow the ball or not). 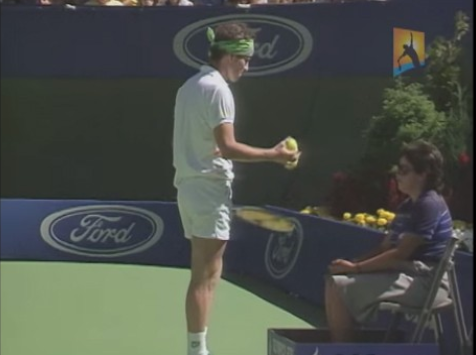 McEnroe was given a code violation for his intimidating behavior. Later in the match, McEnroe was given a second code violation for smashing his racquet and then the match was defaulted in Pernfor’s favor after McEnroe hurled abuses at the chair umpire. This whole ordeal was very unfortunately because McEnroe was not the only one negatively affected. The default of the match tarnished the whole tournament because McEnroe was projected to go on to win the whole thing! Another instance which portrayed the immediate need for the technology occurred in a women’s quarterfinals match between Serena Williams and Jennifer Capriati at the 2004 US Open. Serena Williams took the first set comfortably, winning 6-2. Things took a steep turn after this set. As the match went on multiple line calls and overrule errors were made against Serena Williams. Williams lost the second set 4-6. During the opening game of the third set, chair umpire Marina Alves overruled the first point which was later found to be an incorrect call. And another couple of crucial errors were made when Capriati was serving for the match which led to Williams losing the third set (4-6) and the match. As a result reviewing the match footage, Marina Alves was dismissed from her post and any future dealings with the U.S. Open. The whole incident was followed by a major outcry from fans and players which led to a more serious thought put into implementing the Hawk-Eye. After the Hawk-Eye was beginning to be an intrinsic part of the game, it saw both sides of arguments from the players. Most veteran players have been quoted as saying that they wished they had such technology to use when they played the game. On the other hand, top players like Roger Federer and Rafa Nadal had initially made it clear that they do not appreciate the addition of this new facility. In fact, new tournaments such as the Next-Gen Finals, introduced specially for the top guns in under-21 category, are based on a different format. The tournament in Milan acts as a platform to test out new rules before implementing it in the official circuit. One such feature is that the tournament is solely dependent on the Hawk-Eye system for making all calls. The experiment used a more advanced version of the instant replay software that is used when players challenge calls. The technology used in Milan, however, was so strong that the system made every call, on its own, in real time. This poses an inevitable thought. Is technology the future of tennis? Is this the beginning of the end for line officials?